MAKING A MARK: 21st August 2011 - Who's made a mark this week? 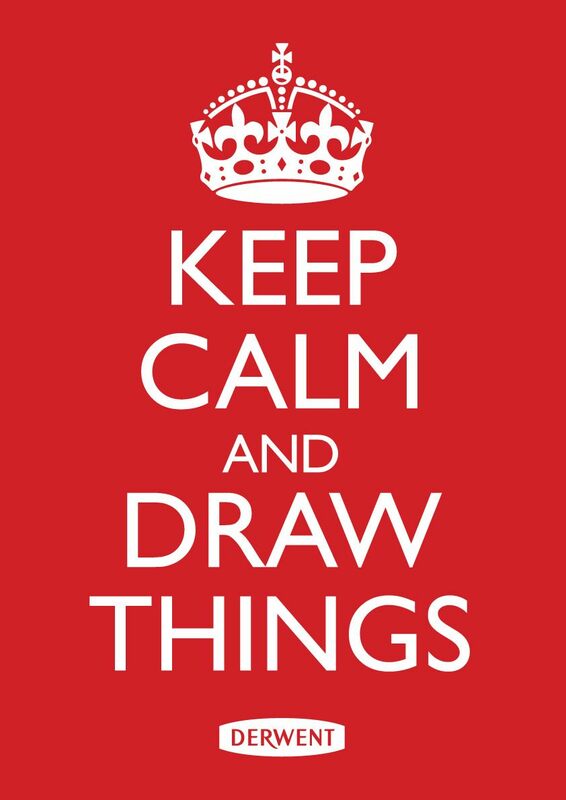 After all the hoohah last week with the riots in London, I was especially pleased this week when I spotted Derwent's (Lovepencils) drawing variation of the Keep Calm poster on Facebook. I think it's excellent and needs to be made into a real poster! More to the point I'd love to know how the great team at Derwent did that! I'm having major problems this week. I've mislaid my "about to fall apart" computer glasses. Which makes this the second pair of computer glasses which my desk has swallowed whole with no trace. Anyway, I spent half of yesterday trying to find them and the rest trying to see the screen as my Varifocals are not the best glasses to use with a computer. Lots of use of the zoom function later I'm just about coping now. However this afternoon I'm off to to Vision Express to get myself a new pair of computer glasses and to test out their one hour service. If you know a way of getting your glasses to beep their whereabouts can somebody please tell me about it! 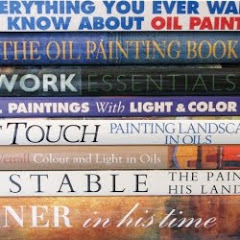 Suzanne Clark, a painter and printmaker living in Toronto Canada has a new blog (No Naked Walls) and asks a pertinent question "Artist Blogs - Are They Written For The Wrong People?". My own personal view is that both artists and art collectors love hearing about the process of producing artwork and getting close to the creative process. How about you? Have a read of her post and tell Suzanne or me what you think. I came across this quote this week - attributed to Banksy. 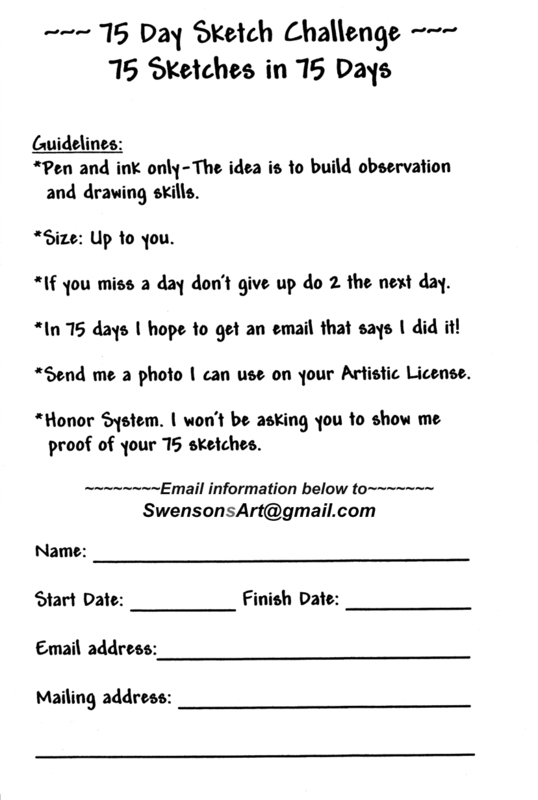 Cathy Johnson alerted me to Brenda Swenson's (Brenda Swenson) 75 day Sketch Challenge - which means 75 sketches in 75 days. Here are the guidelines if you want to join in. 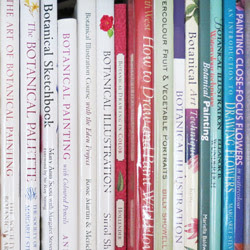 botanical sketchbooks. Click on an image to see a bigger image than the thumbnail in the gallery. gallery of her collection of gold medal winning paintings of Indian Orchids. 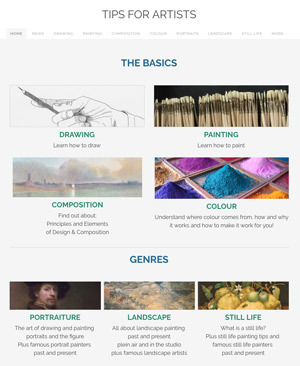 I absolutely hate the new format for Richard McKinley’s Pastel Pointers Blog. Now I can hardly complain about the fact that I have to click a link to read a post (since I'm asking people to do the same on this blog) however I do think there could be a few more words before his posts cut off. I use a manual jump break in these posts rather than the feed which is severely constrained due to the people who nick my content for their websites! I think they must be using the feed for the blog. My main gripe is that from a practical perspective it's now totally impossible to find any of his past posts as there are no date archives and no relevant labels/categories listed for his blog. Just macro level ones relating to Artists network. Which means that all his past posts have disappeared into the ether. Could this be to do with the publication of the book based on his blog posts? I do wish Artists Network would get to grips with and use decent blogging software rather than trying to get the blogs to fit in with the rest of the site. 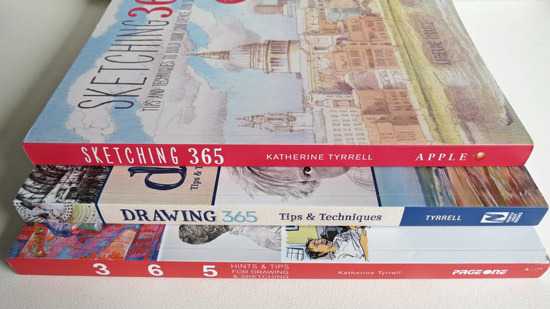 Also taking a look at how James Gurney publishes his posts in full AND creates two best selling art books based on them is an education for those aiming to do the same sort of thing. Contemporary Abstract Pastels - It's really good to see somebody painting abstracts using pastels - and in this blog Debora L. Stewart shares her process of creating abstract pastel paintings. 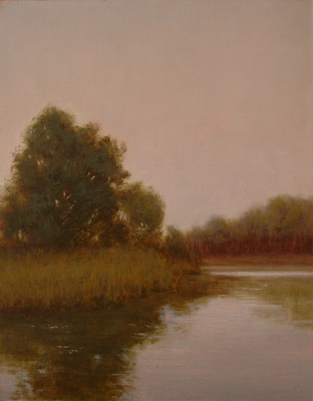 Another pastel blog which I found this week - Anita Stoll Pastels Sublime. It's great to see pastels being used for more abstract and impressionist work. 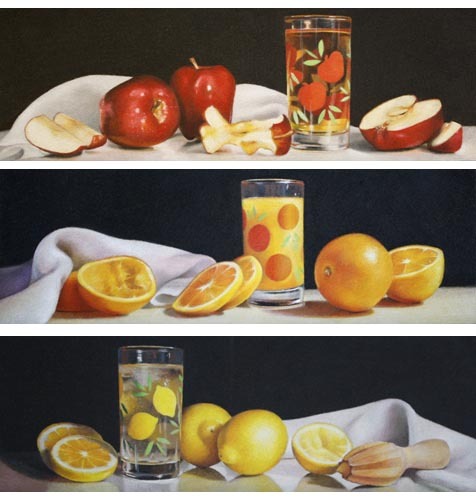 Vivien Blackburn (Paintings, Prints and Stuff) was written about how she decides what size and format to use for her paintings in What size to work? Sculptural Surprises Grace the Streets The New York Times reported on examples of what works well, or less so, as urban public art in Manhattan. You could well be surprised! Marketing Mondays: The Gallery Program in response to a query from an artist. For those who don't read the financial pages, the stock markets continued to drop very significantly last week due to worries about how various countries are managing their debt repayments (we've gone well beyond the homeowner mortgage issue) and the very real prospect of a double dip recession. This is serious and is very likely to impact on the art economy other than at the highest levels. Will the Market Tumult Impact the Fall Auction Season? 5 Insights From Leading #Art Advisors This ArtInfo article was written BEFORE last week's continued tumble. 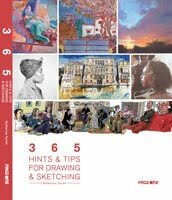 I'm getting my calendar sorted for visits as the art society year gets underway again. 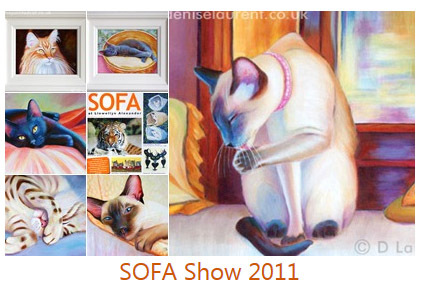 The major ones in September are listed in Art Exhibitions in London & Art Trails - September 2011 - and include the Society of Feline Artists and the UKCPS exhibitions. Art Competitions: The major upcoming exhibitions in London in September are listed in Friday's post on this blog - Art Exhibitions in London & Art Trails - September 2011. The big ones are the Sunday Times Watercolour and the Threadneedle. Bite: Artists Making Prints at Mall Galleries opens on the Wednesday 24th August at the Mall Galleries and continues until 3rd September. This is a new contemporary printmaking show. 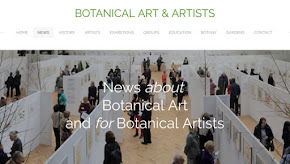 In September two art bloggers Lynne E Windsor (Lynne E. Windsor Fine Art) - a British painter and Deborah Paris (Deborah Paris) are participating in the Autumn Exhibition at the Blackheath Gallery - just across the river from me starting 24th September. I wish the gallery had a link to future exhibitions so I had the complete dates! 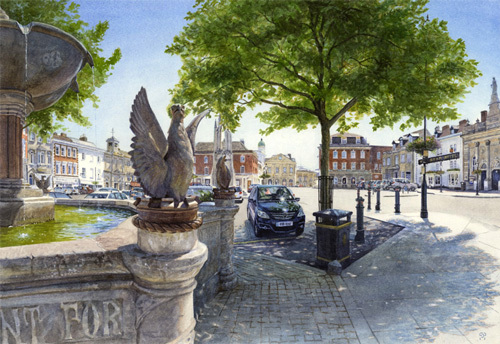 Marion Boddy Evans (Painting.about.com) writes about When do I add the shadows in a painting? 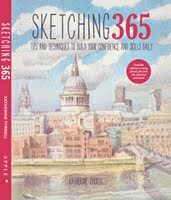 I did two posts on this blog last week as part of a series of Top tips for travelling artists. Thanks for all the comments. If you have more I'd love to hear them and will update the posts to incorporate them. Something seems to have happened to "You thought we wouldn't notice. Anybody got any knowledge of why it's not updating - apart from the possibility somebody forgot to post the "going on vacation" post? I learned this week that Firefox 6.0 cannot retain a zoom setting for a specific application - which when you having to use zoom for everything you look at means that I am now back using Chrome again! This weekend Bristol played host to street artists from around the world and one of the biggest ever legitimate parties to create street art in rundown areas of Bristol. This is all official, it's "posh" graffiti as in these are artists who really know what they're doing and it's all over the place - even at the rear of the police station and court buildings! Thanks so much for the mention Katherine. Hope you found your specs or got some new ones! Regarding ''artists blogs - are they written for the wrong people?''. I had a bollocking from a friend/artist last week for posting a painting I wasn't happy with (apricots) and the reasons, with a view to posting it again finished. I understand her reasoning that one shouldn't be self-critical if you want to sell work, but I thought it was an honest approach and served as a less prescriptive lesson. What do you think - am fairly new to this blogging lark!? Speaking personally I think it's OK if you're OK about it and have explained why you're doing it. It's naive to think everything always goes well. One of the things we most need to develop is a critical faculty around how good our own work is. @ Penny, on above comment... 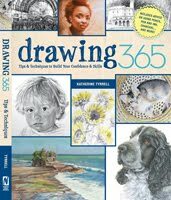 I agree with Katherine, I've done it, see all the time many highly successful and fabulous artists do the same. I see it as filed under 'problem solving', as long as your'e not self deprecating being constructively critical is good. My view; the point of a blog (over a website) is a place for the artists thoughts, critical or not, otherwise where else? It also helps others. Plus it does not always have to be about selling. Winslow Homer was a recluse, apparently never discussing his own work (that I know of). So all we know of his work is from other peoples interpretations in their words, their opinions, not his. He's long gone and so are his thoughts and ideas, that is sad. I would love to know. On Degree-Art... beware indeed! Interesting on their website it says at the top "Invest in the Artists of the Future". invest for who? 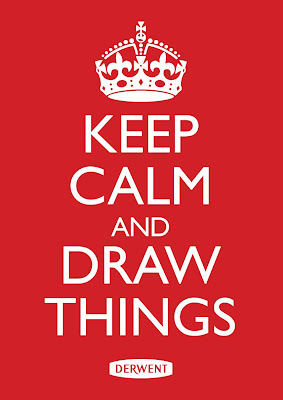 On a similar note I ran across this a couple months back on Greg Newbold's blog "LIFE NEEDS ART". 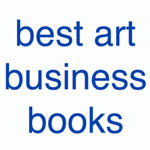 Thanks Katherine for mentioning my blog post " Are Artist Blogs Written For The Wrong People". I had lots of people visit my page due to your mention and lots of very interesting comments. Thank you for the mention Katherine, I wasn`t aware of it until now. I need to get here more often!